It's time to start preparing for a new year! 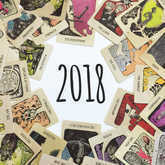 For our Tarot overview of 2018, I've chosen to read with Major Arcana cards only. 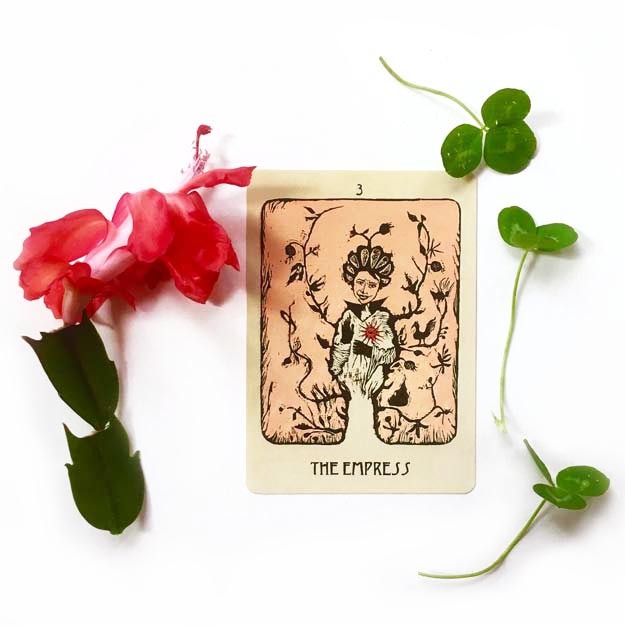 This gives us one large idea -- a clear theme -- for each of the 12 months, that we can then explore in more detail as the year unfolds, using the wisdom of the full Tarot deck. It’s time to start preparing for a new year! 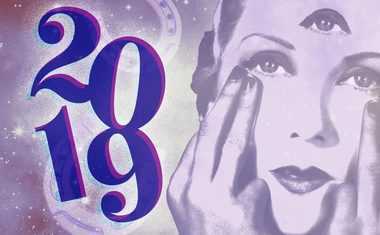 For our Tarot overview of 2018, I’ve chosen to read with Major Arcana cards only. 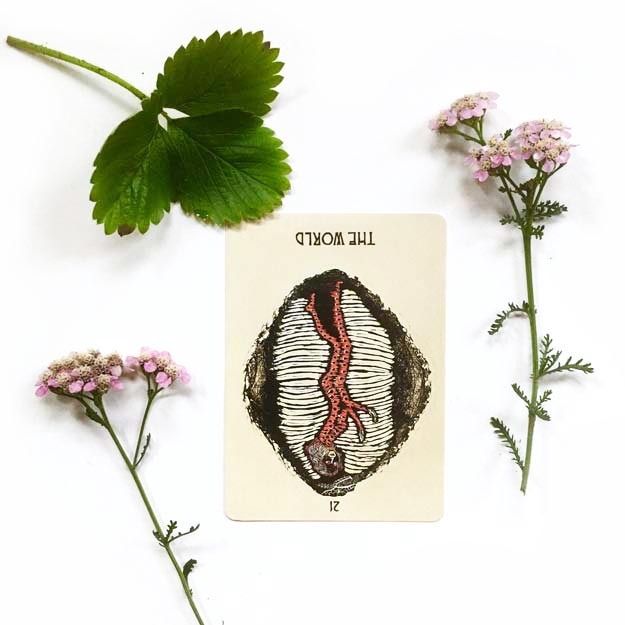 This gives us one large idea -- a clear theme -- for each of the 12 months, that we can then explore in more detail as the year unfolds, using the wisdom of the full Tarot deck. 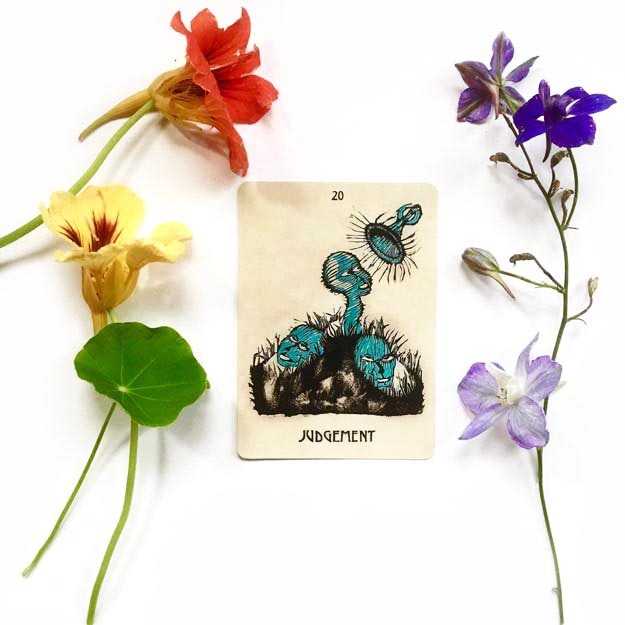 From these 12 cards I’ve drawn for us, the overall theme of 2018 seems to be the shifting relationship with the self. 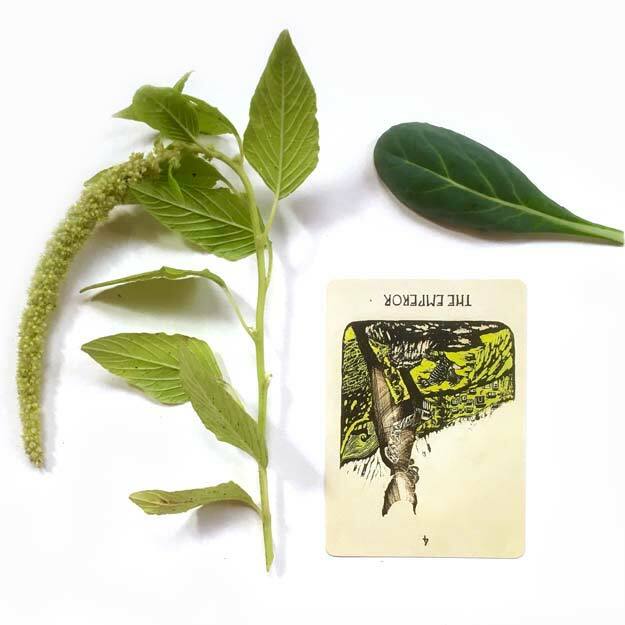 This will be a year of reflecting on our values and how we want to act in the world, with the cards asking us to consider and reconsider who we are as the months progress. This looks to be a year of layers of discovery, each one bringing us closer to personal truths, if we are willing to do the work. Our final spread of 2017 left us with the caring energy of the Queen of Cups and the proactivity of The Magician. As we enter the new year, it is with a stronger sense of self. 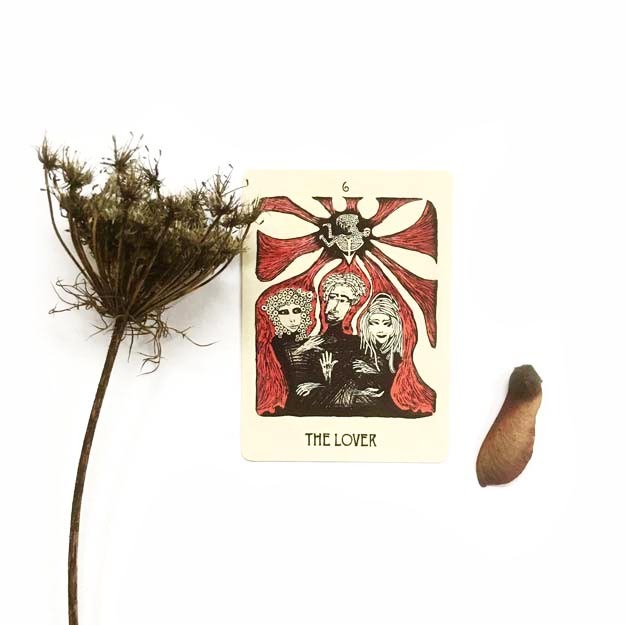 The Lovers echoes that in its symbolic union of different aspects of our character and achievement of inner harmony. It is just as important to honor and maintain the relationship with the self as it is the relationships we have with others. Personal balance is also what makes us loving and reliable partners. 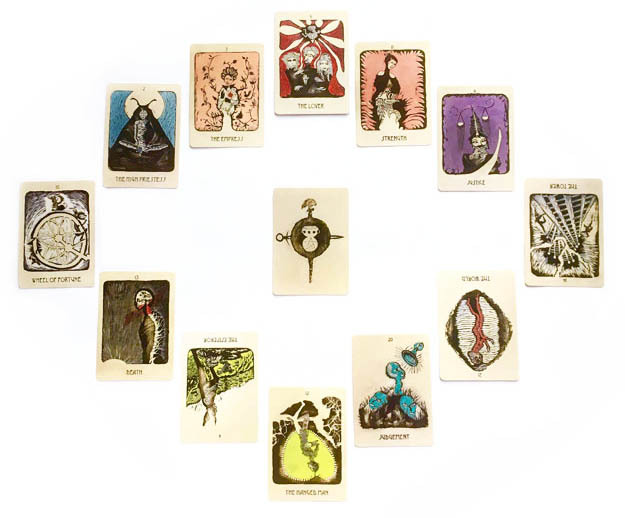 Start your personal Timeline Tarot Reading now for more advice about YOUR near future! 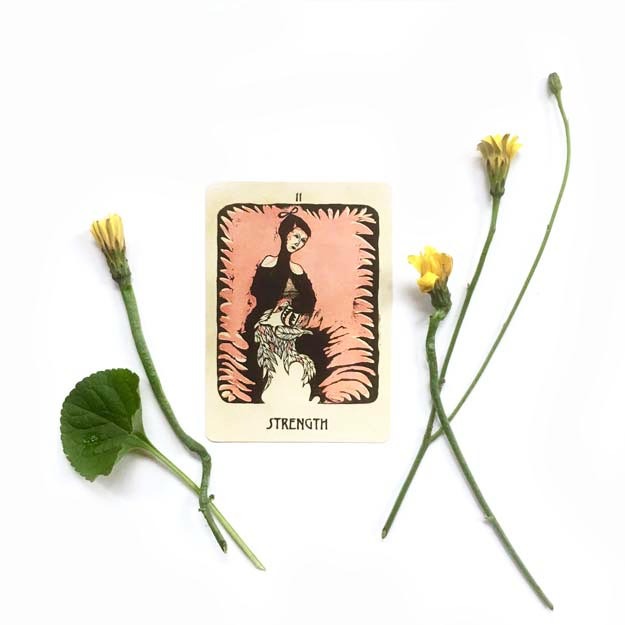 This month’s card encourages us to explore personal balance further, righting wrongs and making sure that our actions match the values we have claimed. Self-examination is a constant necessity if we are to keep one side of the scale from tipping too far and throwing us off balance and off course. New realizations from March’s assessment should be honored this month. The Tower demands change, but this time, it’s giving us the opportunity to implement necessary changes at our own pace. 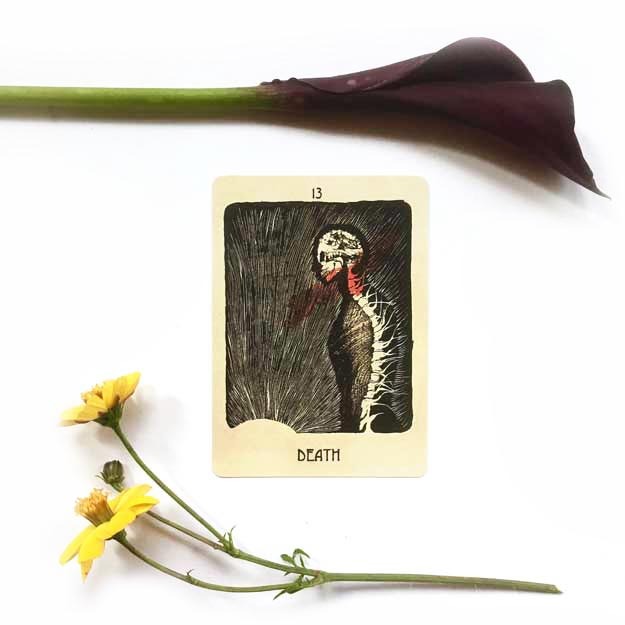 While we won’t have to undergo the full force of a Tower moment just now, there is a caution here that delaying change for too long may mean its effects will be felt more brutally later. It seems the work requested by the Tower last month has been resisted or is not yet complete. Don’t be afraid of change; even harmony needs to be questioned periodically, or growth cannot occur. Demands of daily life require our attention to shift among the realms of existence, and it’s not possible to keep everything in balance all the time. If we observe where our energy is going, we can use that knowledge to re-evaluate current needs and desires. We must also allow ourselves time to adjust after positive changes have been made. The theme of change and re-evaluation continues this month, and we are on the verge of an epiphany. It brings a stronger sense of personal purpose and place in the larger world. The work that was started with the Justice card in March to realign our values with our actions comes into sharper focus now. If we are not living up to our potential, this is a time to strive more seriously for clarity and redemption. 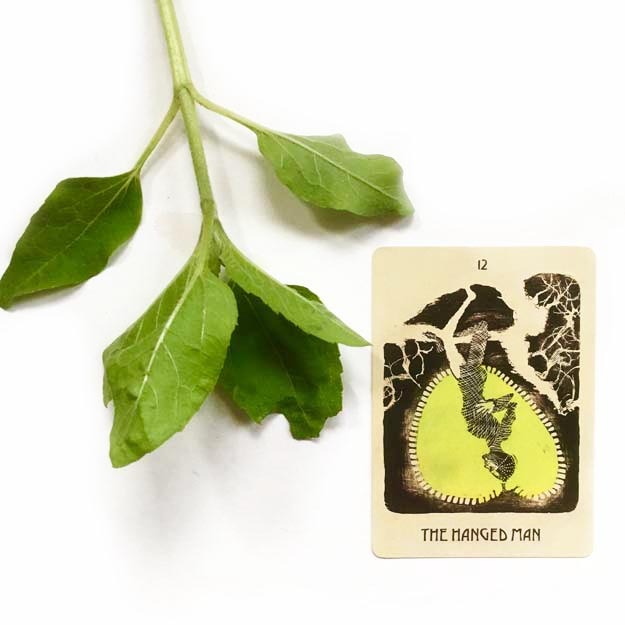 This month, The Hanged Man is the perfect complement to Judgement’s gift of epiphany from last month. When we become aware of a greater purpose in life, we must release past patterns and assumptions, seek fresh perspectives, and begin to carve out a path toward our realized goals. This can be an uncomfortable process, and even feel like sacrifice, but setting the self aside is sometimes the key to finding the self again. 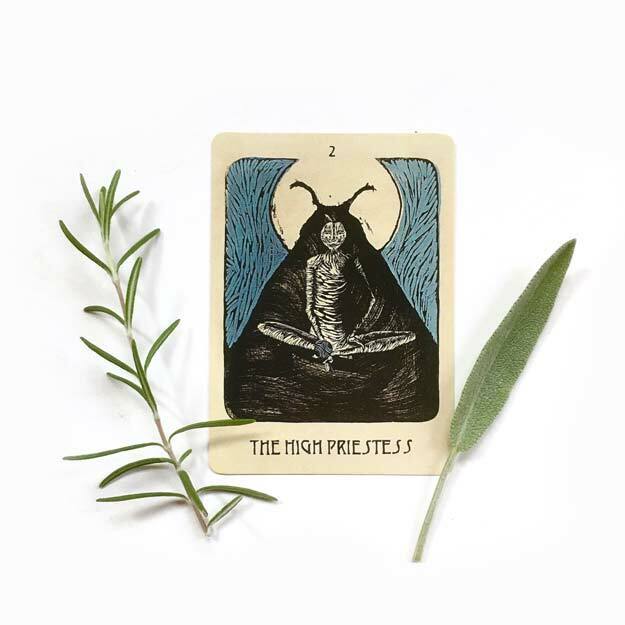 Perhaps the challenges of the Hanged Man from last month have made us feel a little out of control. 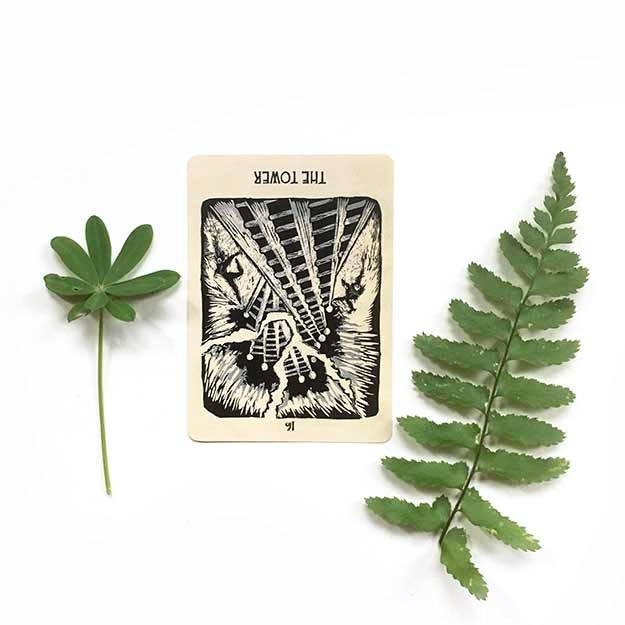 This month may see the pendulum swinging too far to one extreme of behavior, as we try to regain a feeling of authority. This might also be a reaction to newly-embraced aspects of identity; we are declaring and testing these possible ways of being in the world. The rigidity and harshness of the reversed Emperor, however temporary, can stunt growth and cause suffering in those around us. It’s important to be aware of how we treat others this month. This September is a month of release, very welcome after the push and pull of identity exploration in recent months. We have tested, retested, and refined, and now we can let go of ideas, modes, tendencies, and other manifestations of identity that no longer serve us. We can transform into the next elevated version of the self. 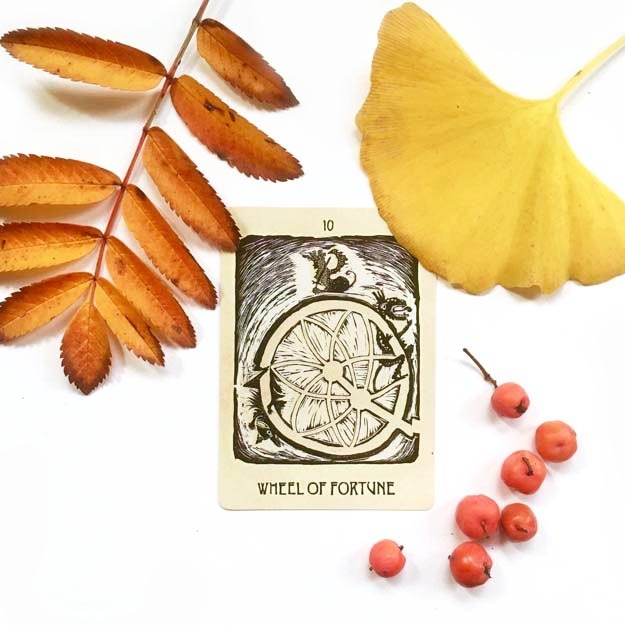 The Wheel of Fortune reminds us there is no one fixed way to be, live, or think. As in nature, life is composed of many small cycles inside its single major one. Who we are and how life flows constantly shift. This need not be threatening; we have weathered changes before, and can do so again. Challenges in life make successes more valuable, and also foster growth. Acceptance of these cycles is crucial, as the Wheel will turn regardless. 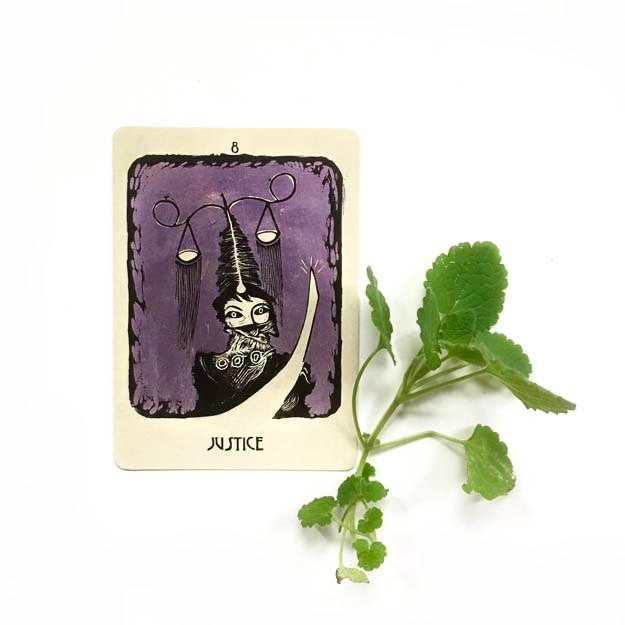 This month is focused on knowledge and intuition. What special teachings are waiting for us if we learn how to look? After the constant personal development this year has seen, we may need to re-establish or fine-tune the connection to our inner voice so that it can remain a valuable guide in years to come. Comfort and caring are in the forefront as we close out this year of self-examination. 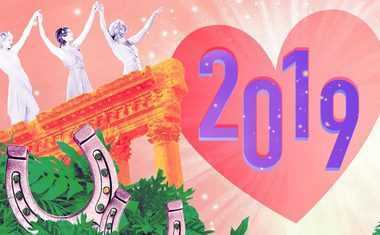 In many ways, this brings us full circle to the harmony in which we started the year. What’s changed, however, is our faith in that internal balance. It was relatively untested then, but it has been challenged repeatedly these past months, creating in us a reliable strength and understanding of the fluctuations of existence. Now it’s time to enjoy some stability, and nurture others who are on quests of their own.